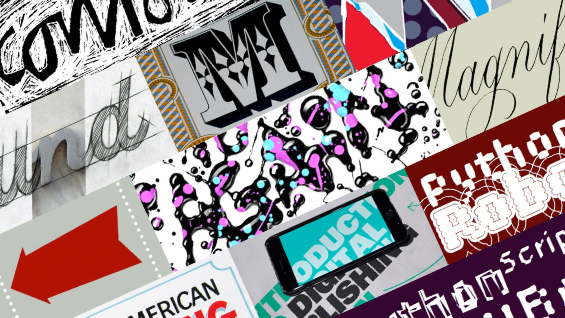 From June 8 to 18, The Cooper Union will be hosting Typographics, a design festival devoted to developments in typography. The 10-day event will feature established figures as well as newcomers from the world of typography and design, who will lecture, lead workshops, give tours and otherwise provoke an expansive dialogue about the uses of type. "There hasn't been a conference devoted solely to typography in the United States for a long, long time," says Alexander Tochilovsky A'00, director of Cooper's Herb Lubalin Study Center of Design and Typography, who along with renowned art director Roger Black and program director of Type@Cooper Cara Di Edwardo A'85, is organizing the conference. "Now that the industry's changing so rapidly it seems a good time to focus on it again. Cooper should be at the forefront because of our long-standing commitment to typography." The Typographics name is a nod to Herb Lubalin A'39, a key graphic designer of the 20th century, and co-designer of the Avant Garde typeface, who preferred to use the term to describe his work. The Herb Lubalin Study Center of Design and Typography is an archive of design ephemera located at The Cooper Union, and includes work by Lubalin, Milton Glaser A'51, Seymour Chwast A'51, Lou Dorfsman A'39, Paul Rand, Chipp Kidd and countless others. The center celebrates its 30th anniversary this year. Typographics' organizers are careful to differentiate their conference from ones for just graphic or typeface design. "People who call themselves typographers proudly obsess about type. They have a particular sensitivity to the written word, to the formal qualities of typefaces, to their appropriate and clever usage," Ms. Di Edwardo says. The conference will feature talks that expand on that idea and demonstrate the ways that type can be used to convey visual messages that underscore—or in some cases, belie—the meaning of the words it forms. For instance, one of the founders of Pentagram, Abbott Miller A'85, will deliver a talk called "The Picture in the Word," in which he will consider what viewers see when they look at letters. Barbara Glauber, the founder of Heavy Meta Studio, will give a talk on Saturday entitled "Crashing Vernaculars" in which she will explore the emotional valence of different typefaces—the horror associated with Gothic, say, or the less-is-more aesthetic of Bauhaus. Other talks include one by Bruno Maag, who will team with neurophysiologist Alessia Nicotra to talk about the emotion attached to type and how that affects reading. Mr. Maag, who has designed what Roger Black calls "megafonts"—ones that can be used for the scripts of different alphabets—writes on the Typographics blog that "we read the same way, deciphering the same skeletal code. When you put the neurology together with the culture, you can start saying how to make type brands that work globally." An important feature of the event will be The TypeLab, held in the 31 Third Avenue storefront and run by Petr van Blokland, a typeface designer and educator from The Hague. The lab references similar workshops held at conferences in Europe during the 1990s, "when digital type was new and young designers were just dreaming of the possibilities," says Ms. Di Edwardo. "Many of those designers and software developers will be present at Typographics, and they are still dreaming and enjoying the process of developing the means to make it happen. It's a hackathon and a platform to make more progress in the technological and theoretical advances that typography needs." The conference will also offer workshops and tours that consider typography as conveyor of commerce and history. Mr. Tochilovsky will lead a tour through four adjacent Brooklyn neighborhoods to trace their histories through signage. John Downer, a legendary journeyman sign painter, will give a four-day course about letterform construction traditionally used in the making of 20th century painted signs. It's a chance to learn an art with few remaining practitioners and, Mr. Tochilovsky hopes, a way to connect with the ink-stained tactility that drew many to typography in the first place. A critical issue to be debated at the conference is the future of responsive design that allows the best legibility for different platforms from laptops to phones using the same design. "Responsive type design is a new idea that some very skilled designers are playing with," Ms. Di Edwardo says. Erik van Blokland, brother to Petr, will be giving a lecture and a workshop on the subject. Mr. van Blokland's talk, "It's Got to Move," details the pleasures of animated type. Today's designers have a new set of exciting tools via web fonts: while as recently as five years ago, typographers were limited to the fonts available on computers, they now can use fonts stored on a cloud server, giving them practically limitless possibilities for digital type design. "It's been implemented so quickly," says Mr. Tochilovsky. "So the fact that people are talking about good typography on the web is huge." The organizers' choice of the boisterous typeface Stilla, designed by François Boltana, is a case in point. Its delicious and playful forms—a favorite of Lubalin, ever the advocate for emotion in lettering—can now be downloaded in a digitized form, something that wasn't feasible only a few years ago.